Today is the last day of my 59th year. Tomorrow I will celebrate my 60th birthday. I’ll get up early and go to the Student Fitness Center with my husband for our regular 3x a week 90 minute workout followed by a semi annual visit to the dentist for our teeth cleaning and check-up. We’ll have our Friday Martinis in the afternoon and then, after a home cooked dinner, we’ll head over to the University to watch the Black Bears play hockey against UML. Nothing really extraordinary for a Friday except that it will mark for me, what in the past was seen as the entry point to old age. But is that still the case? And, more importantly, how much can our every day decisions affect our quality of life to the point where 60 is not old, but just another milepost on the road of life? Today we know so much more about how much influence we can have in regard to our overall health and the quality of our life. Through my studies of anatomy, physiology and health at college, I learned that regular physical activity had a positive correlation not just to fitness but also to mental health and living longer. Since then, scientific studies have continued to identify additional ways that our bodies and minds benefit from staying active and fit. Fitness reduces the risk of cardiovascular disease, type 2 diabetes, and some types of cancer including colon and breast. Exercise strengthens bones and muscles in addition to improving sleep. And, as we age, staying physically active helps maintain brain function and reduces mental decline. But to gain these benefits and improve your quality of life it isn’t enough just to be aware of them …you must find a way to make fitness a regular part of your life. When my folks were entering their so call Golden Years, I was starting a family of my own and working full time. Still I made it a point to include exercise in my regular routine. I couldn’t afford a gym membership in those days so I ran, walked, biked, or played on community sports teams. We took active vacations with the kids where we hiked, canoed, explored and camped. I’ve continued that into retirement working out at the Student Fitness Center, hiking, biking, skiing, stand up paddle boarding and taking my dog for long walks. 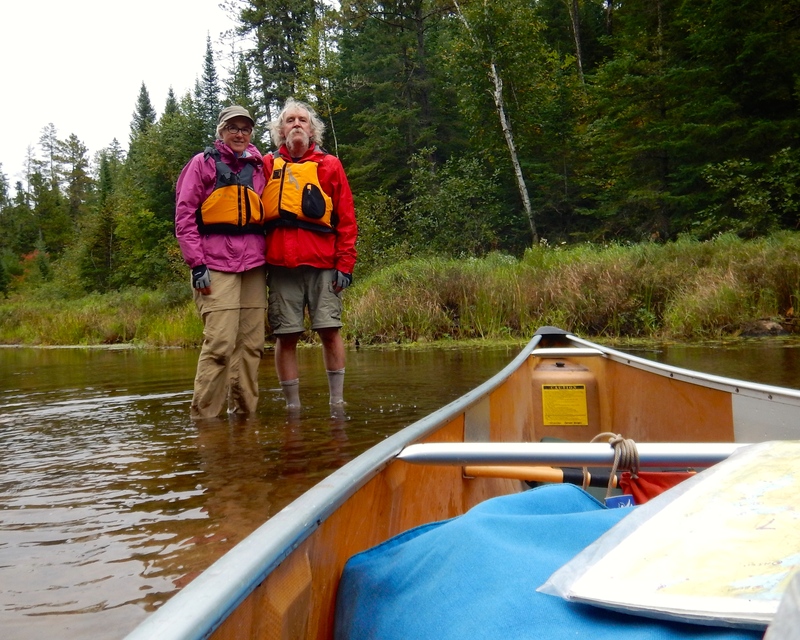 This summer my husband and I walked over 140 miles coast to coast in England and paddled nearly 60 miles on a week long canoe camping trip to the Boundary Waters this fall. I am able to maintain a healthy weight and have no need for prescription drugs. I am not naive enough to think that I am sheltered from all potential health issues, but I am doing what I can to increase my chances of a long and healthy life. From my point of view, turning 60 is just another milepost on the road of life. This entry was tagged Fitness, Golden Years, health, physical activity, quality of life, turning 60. Bookmark the permalink.